In a series of exhortations to his brothers, Nephi referred to the treatment received by Jeremiah, his prophetic contemporary, as an example of the sinful failings of the inhabitants of Jerusalem. “For behold,” Nephi declared, “the Spirit of the Lord ceaseth soon to strive with them [the people of Jerusalem]; for behold, they have rejected the prophets, and Jeremiah have they cast into prison. And they have sought to take away the life of my father, insomuch that they have driven him out of the land” (1 Nephi 7:14). At first glance, this passage seems to refer to the imprisonment of Jeremiah by Zedekiah, the king of Judah, as recorded in Jeremiah 37–38. However, this raises some questions, since that biblical evidence appears to place Jeremiah’s imprisonment towards the end of Zedekiah’s reign (Jeremiah 32:2; 38:28), while 1 Nephi opens at the beginning of Zedekiah’s reign and Lehi and his family leave shortly afterwards (1 Nephi 1:4). Because of this and other chronological concerns, several researchers, including S. Kent Brown and David R. Seely, have argued that Nephi was likely referring to an earlier incident of Jeremiah being imprisoned, and not to the account preserved in Jeremiah 37–38. Figure 2 Jeremiah Lamenting the Destruction of Jerusalem by Rembrandt van Rijn. Image via Wikipedia. We think it likely that Jeremiah, who was accused of being pro-Babylonian, was imprisoned during the last year of the reign of Jehoiakim, who by then had revolted against the Babylonians. Jeremiah’s imprisonment would have been for the same reasons that he was imprisoned later by Zedekiah when that king revolted against the Babylonians (Jeremiah 37–38). In this light, it is possible that Nephi was referring to an imprisonment that began during the last year of the reign of Jehoiakim and continued into the early months of Zedekiah’s reign. Similarly, Jeffrey R. Chadwick has identified at least three other occasions when Jeremiah was placed under arrest: “588 BC (Jeremiah 37:15), during the Babylonian siege of Jerusalem; 601 BC (Jeremiah 20:2), when he was put into stocks for a day and a night; and late 605 BC (Jeremiah 36:5), after the first composition of his prophecies.” Chadwick proposed that Nephi was referring to the 605 BC imprisonment as opposed to the later and more fully detailed imprisonment under Zedekiah in Jeremiah 37–38. Another possibility is that Nephi heard of Jeremiah’s imprisonment as recorded in Jeremiah 37–38 during one of his return trips to Jerusalem. Nephi and his brothers returned to Jerusalem at least twice before finally departing Judah for good and traveling with the rest of Lehi’s group to the promised land (1 Nephi 3–4, 7). Because Nephi’s account gives no information about how much time elapsed between these two return trips and the family’s initial departure into the deserts of Arabia, it is conceivable that Nephi could have heard about Jeremiah’s imprisonment towards the end of the reign of Zedekiah from several second-hand sources. Finally, of course, it is also possible that Nephi learned of Jeremiah’s imprisonment by revelation. Many unresolved questions that remain about the Book of Mormon deal with attempts to correlate its internal chronology with external historical events. This is especially true when attempting to correlate prophecies of future events given in the Book of Mormon. In this case, the timing of Jeremiah’s imprisonment is wrapped up in a debate surrounding the timing of Lehi’s departure from Jerusalem and his prophecy that the Messiah would come 600 years after such (1 Nephi 10:4; 19:8; 2 Nephi 25:19). While the available and relevant data is not always as clear as modern readers would sometimes like, when it comes to the dating of Jeremiah’s imprisonment it must be remembered “that the [biblical] book of Jeremiah was not written in chronological order, but compiled later, perhaps after his death. Some later chapters describe events that took place in the days of earlier kings, so one must pay attention to the chronological notations associated with each story, where possible.” Because of these and other gaps in the historical and scriptural record, attempts to correlate points of the Book of Mormon’s internal chronology with external historical events should be undertaken cautiously and following solid methodologies. Beyond what this verse might say about the internal chronology of the Book of Mormon, Nephi’s reference to Jeremiah’s imprisonment served an important rhetorical function as he admonished his disgruntled brothers. Ishmael had only barely escaped Jerusalem with his family when Laman and Lemuel quickly convinced “two of the daughters of Ishmael, and the two sons of Ishmael and their families” to “rebel against . . . Nephi, and Sam, and their father, Ishmael, and his wife, and his three other daughters” (1 Nephi 7:6). The murmuring members of the party rebelled because they “were desirous to return unto the land of Jerusalem” (v. 7). But such a rash course would have ended in complete disaster. It would not be long before “the word of the Lord [would] be fulfilled concerning the destruction of Jerusalem,” and so returning to the city was out of the question (v. 13). As proof that Jerusalem was ripe for destruction and that “the Spirit of the Lord ceaseth soon to strive with” its inhabitants, Nephi cited the imprisonment of Jeremiah in addition to the threats which were made against the life of his own father Lehi (v. 14). President Spencer W. Kimball taught that the “rejection of the holy prophets comes because the hearts of people are hardened, as people are shaped by their society.” This was certainly the case in Jeremiah’s and Lehi’s day, when the popular party line in Judahite society was that God would preserve the holy city of Jerusalem and its temple despite the sins of the people. Similar messages abound in the world today (2 Nephi 28:7–8, 21–25). Nephi’s warning that the rejection of God’s prophets is a sign of imminent apostasy is, therefore, just as applicable today as it was on the eve of the Babylonian captivity of Judah some 2,600 years ago. S. Kent Brown and David R. Seely, “Jeremiah’s Imprisonment and the Date of Lehi’s Departure,” Religious Educator2, no. 1 (2001): 15–32. John A. Tvedtnes, “Jeremiah in Prison?” online (Accessed July 10, 2018). Randall P. Spackman, “Was Jeremiah Imprisoned in Zedekiah’s Reign?” online (Accessed July 13, 2018). Jeffrey R. Chadwick, “Dating the Departure of Lehi from Jerusalem,” BYU Studies Quarterly 57, no. 2 (2018): 7–51. S. Kent Brown and David R. Seely, “Jeremiah’s Imprisonment and the Date of Lehi’s Departure,” Religious Educator 2, no. 1 (2001): 18–21. Brown and Seely, “Jeremiah’s Imprisonment,” 19–20. See John W. Welch, “The Trial of Jeremiah: A Legal Legacy from Lehi’s Jerusalem,” in Glimpses of Lehi’s Jerusalem (Provo: FARMS, 2004), 337-56. Brown and Seely, “Jeremiah’s Imprisonment,” 20. Jeffrey R. Chadwick, “Dating the Departure of Lehi from Jerusalem,” BYU Studies Quarterly 57, no. 2 (2018): 40. Chadwick, “Dating the Departure of Lehi from Jerusalem,” 40–41. Nephi, it is clear, escaped with Ishmael and his family before the final Babylonian deportation of Judah in 587 BC in the eleventh and final year of the reign of Zedekiah (Jeremiah 39:1–10; 2 Nephi 1:3–4). Jeremiah had been imprisoned by Zedekiah at least at the outset of the Babylonian siege of Jerusalem which started two years earlier in 589 BC (Jeremiah 32:2; 38:28). 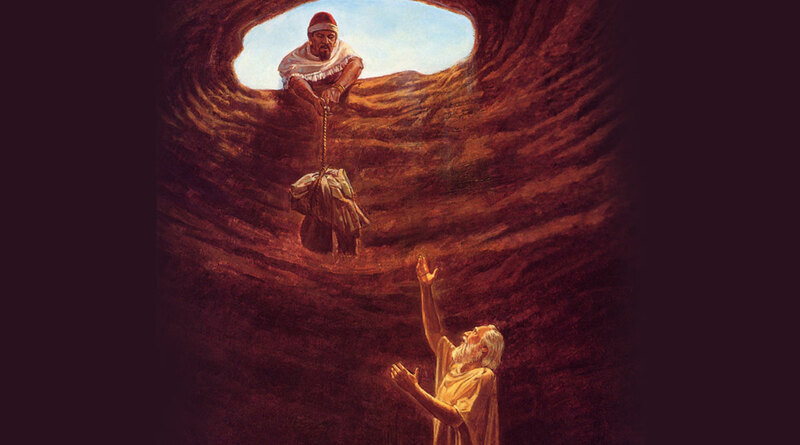 It’s conceivable that Jeremiah, who is said to have suffered imprisonment under Zedekiah’s watch for “many days” (Jeremiah 37:16), was arrested long enough before the final siege and destruction of Jerusalem for word of his arrest to have circulated and reached Nephi. The timing in this scenario would be tight, with Nephi collecting Ishmael and his family perhaps in the eighth or ninth years of the reign of Zedekiah, but not necessarily impossible. Indeed, the fact that Nephi mentioned Jeremiah’s imprisonment only after his second trip to Jerusalem may bolster this timeframe. 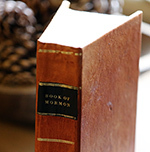 For various approaches see Brown and Seely, “Jeremiah’s Imprisonment,” 15–32; Randall P. Spackman, “Was Jeremiah Imprisoned in Zedekiah’s Reign?” online at www.bookofmormonchronology.net; Chadwick, “Dating the Departure of Lehi from Jerusalem,” 7–51, esp. 39–41. It is true that Laman and Lemuel had not killed Laban, but did they really think that people in Jerusalem would take their word on that and let them completely off the hook? Lehi and Jeremiah were not the only prophets who were persecuted during this volatile time. The prophet Urijah, who like Lehi and Jeremiah urged the wicked Judahites to repent, was captured and executed on the order of king Jehoiakim (Jeremiah 26:20–23). See further Book of Mormon Central, “Who Were the ‘Many Prophets’ in Jerusalem During Lehi’s Time?” KnoWhy 441 (June 14, 2018). Spencer W. Kimball, “Listen to the Prophets,” General Conference address, April 1978, online at www.lds.org. This was a belief accepted by Laman and Lemuel. See Neal Rappleye, “The Deuteronomist Reforms and Lehi’s Family Dynamics: A Social Context for the Rebellions of Laman and Lemuel,” Interpreter: A Journal of Mormon Scripture 16 (2015): 87–99; Book of Mormon Central, “Why Did Some in Lehi’s Time Believe that Jerusalem Could Not Be Destroyed?” KnoWhy 451 (July 19, 2018).